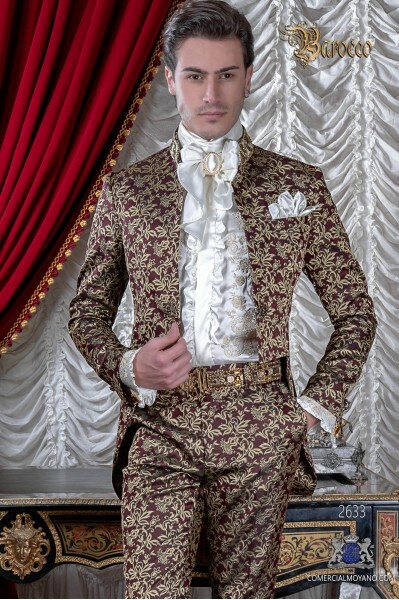 Baroque Tailcoat There are 13 products. 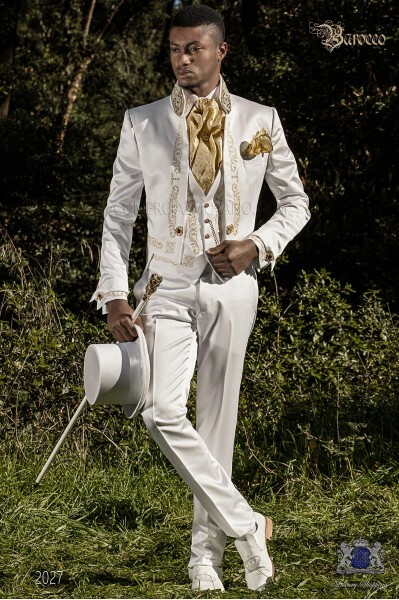 Baroque white brocade tail coat with Mao collar and rhinestones. 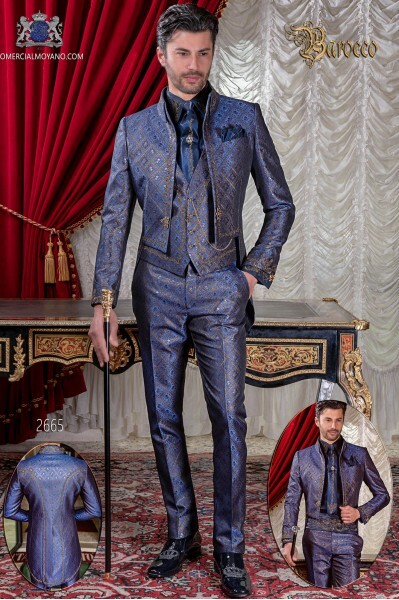 Tuxedo wedding suit 2635 Baroque Collection Ottavio Nuccio Gala.It comes with a suitcase bag Ottavio Nuccio Gala. Baroque white satin tail coat with silver embroidery, crystal rhinestones on Mao collar and crystal brooch. 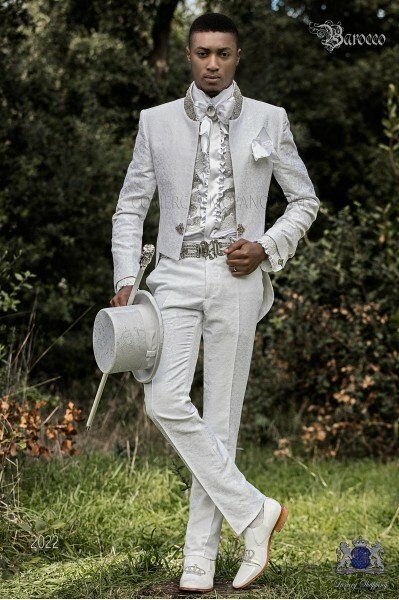 Tuxedo wedding suit 2480 Baroque Collection Ottavio Nuccio Gala.It comes with a suitcase bag Ottavio Nuccio Gala. Baroque white brocade tail coat with crystal rhinestones on Mao collar and crystal brooch. 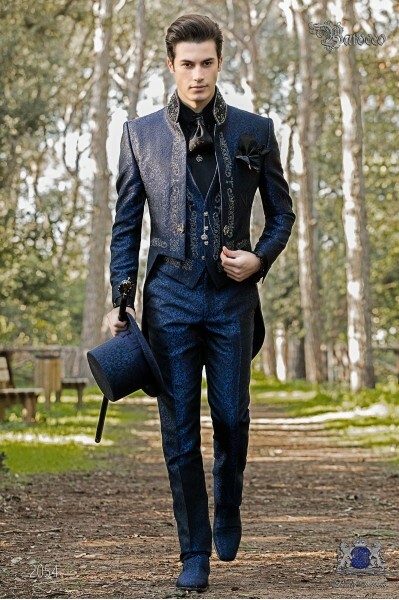 Model number:2022 Baroque Collection Ottavio Nuccio Gala.It comes with a suitcase bag Ottavio Nuccio Gala. 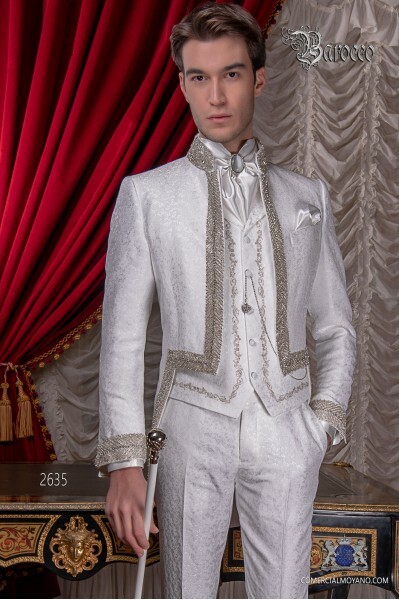 Baroque white satin tail coat with golden embroidery, crystal rhinestones on Mao collar and crystal brooch. 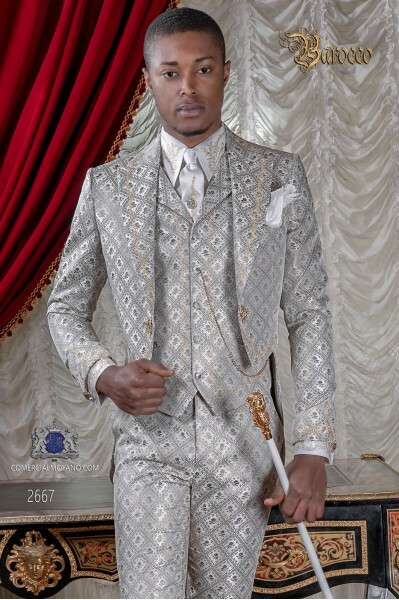 Model number:2027 Baroque Collection Ottavio Nuccio Gala.It comes with a suitcase bag Ottavio Nuccio Gala. Baroque blue & gold brocade tail coat with crystal rhinestones on Mao collar and crystal brooch. 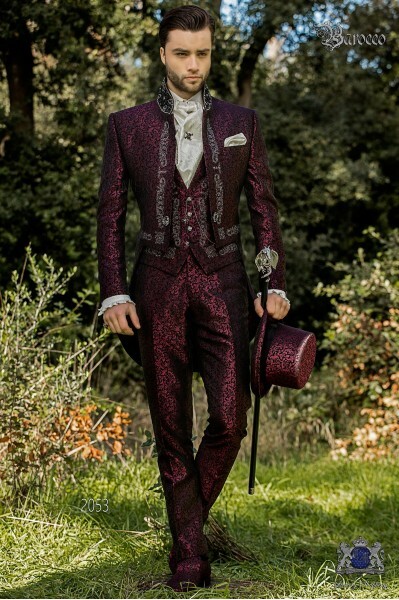 Model number:2028 Baroque Collection Ottavio Nuccio Gala.It comes with a suitcase bag Ottavio Nuccio Gala. Baroque blue satin mao tail coat with silver embroidery, crystal rhinestones on Mao collar and crystal brooch. 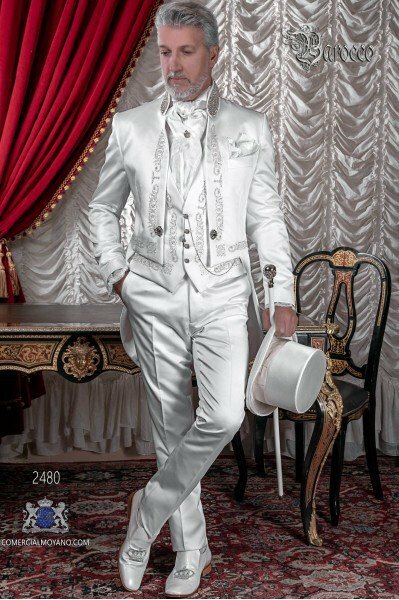 Model number:2048 Baroque Collection Ottavio Nuccio Gala.It comes with a suitcase bag Ottavio Nuccio Gala. 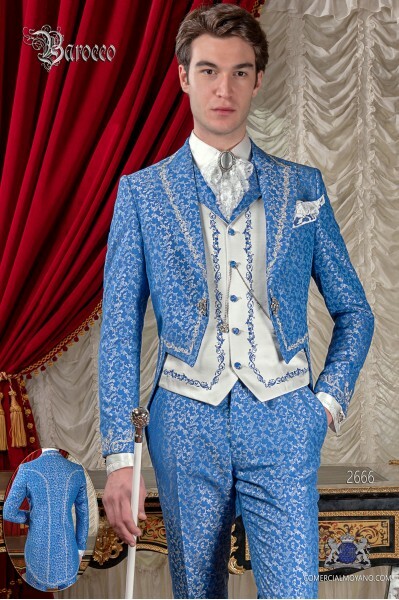 Baroque blue jacquard mao tailcoat with silver embroidery, crystal rhinestones on Mao collar and crystal brooch. 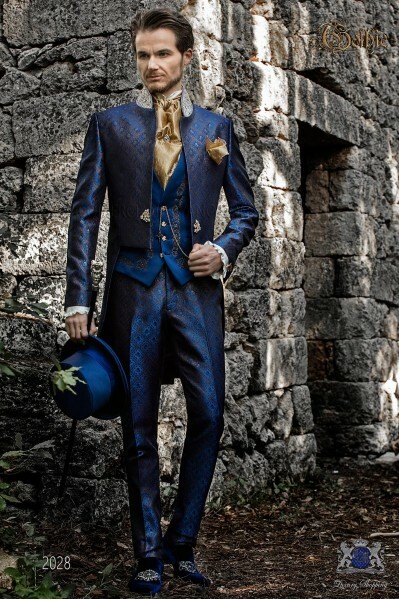 Model number:2054 Baroque Collection Ottavio Nuccio Gala.It comes with a suitcase bag Ottavio Nuccio Gala. Baroque red jacquard mao tail coat with silver embroidery, crystal rhinestones on Mao collar and crystal brooch. 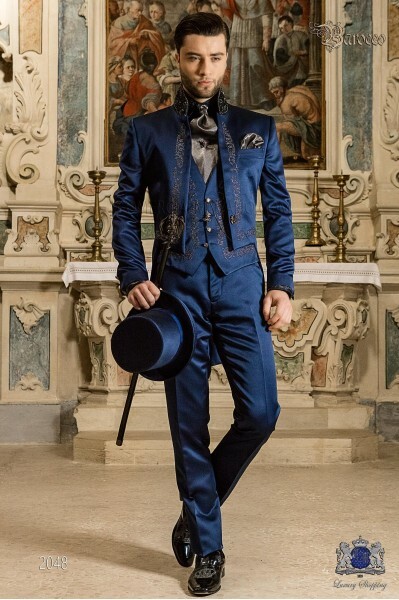 Model number:2051 Baroque Collection Ottavio Nuccio Gala.It comes with a suitcase bag Ottavio Nuccio Gala. Baroque purple jacquard mao tailcoat with silver embroidery, crystal rhinestones on Mao collar and crystal brooch. 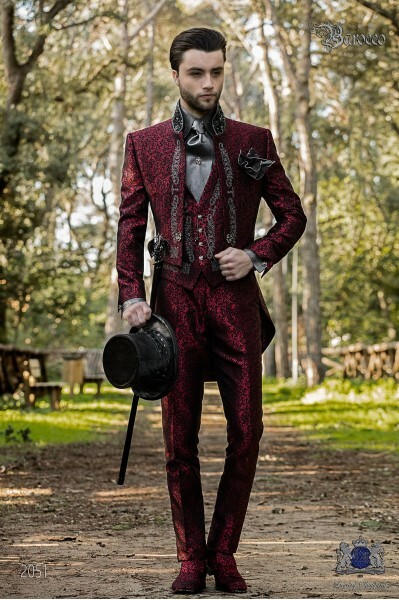 Model number:2053 Baroque Collection Ottavio Nuccio Gala.It comes with a suitcase bag Ottavio Nuccio Gala.